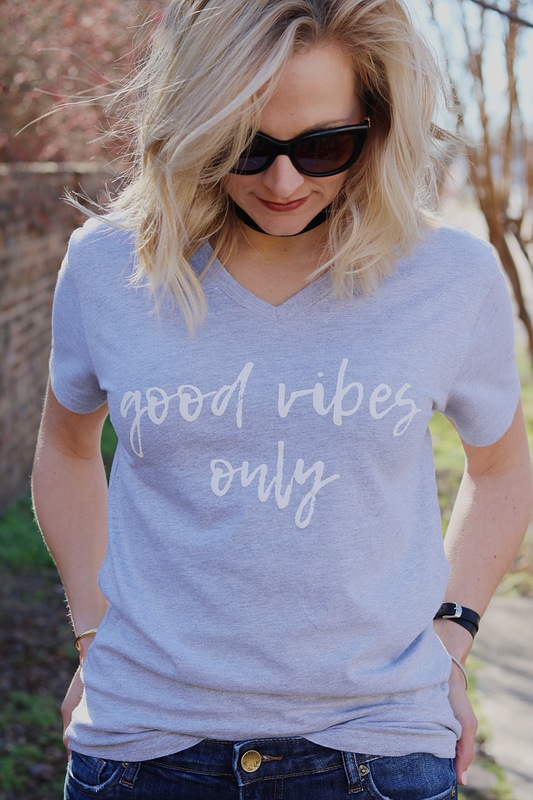 Y’all know I love a graphic T, and this one’s play on words is spot on. 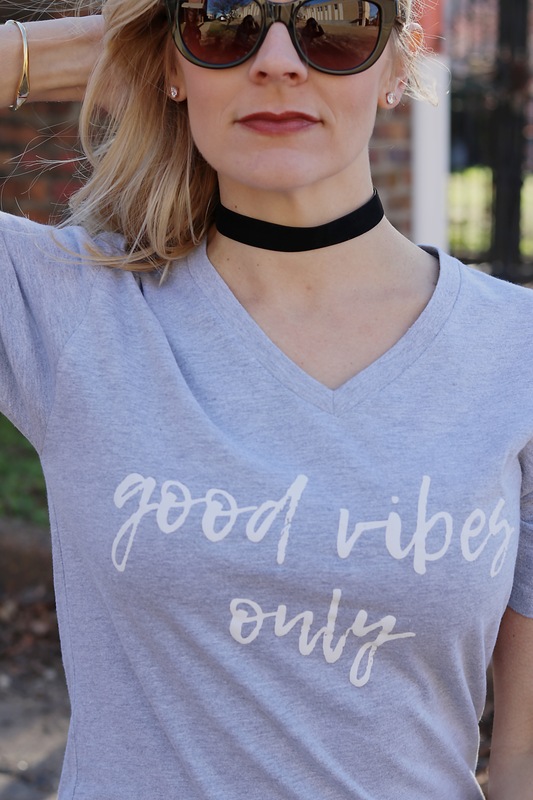 Ive decided that my mantra for the year (heck in life) is “good vibes only”…for real! When Snazzy Chicks did a little word play on this T, I was like 😍. 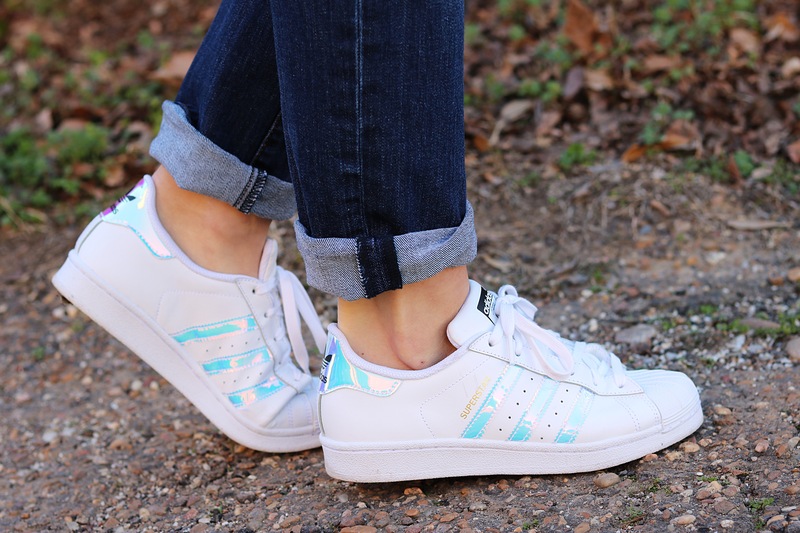 I’m also obsessed with my Adidas superstars…yes they are iridescent. 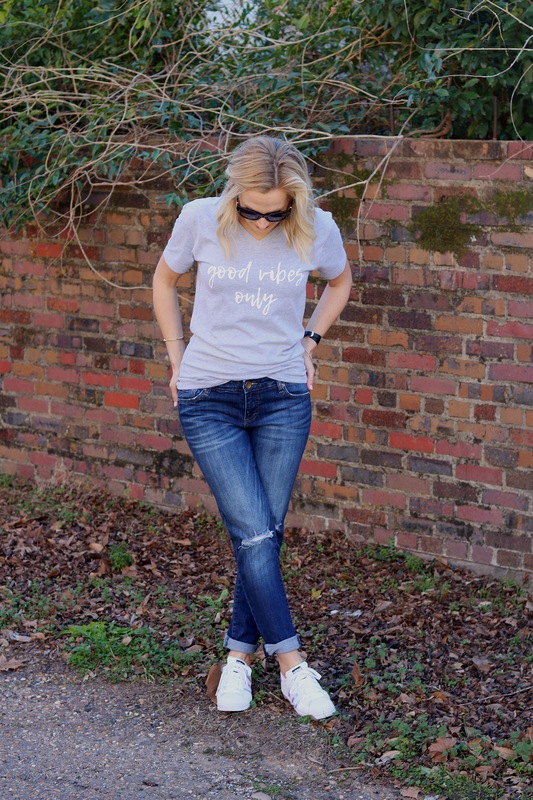 T-shirt Snazzy Chicks Boutique– These Jeans are great! (love this brand and this pair less than $50) – Adidas Superstars (love these gold ones) -bracelet (mine no longer available, but this one is amazing and less than $50! )- choker – earrings (these look so good, and are a steal) – watch and ring Crockers Jewelers– wear these sunglasses everyday!